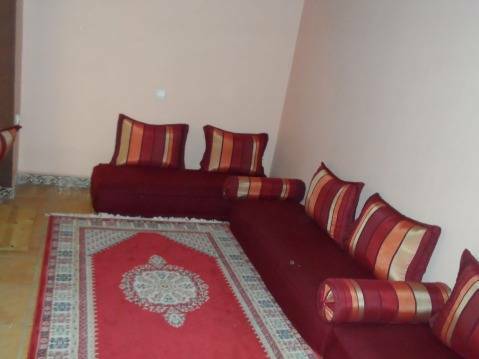 Riad holiday is a guest house located in the heart of Marrakech, 25min walk from Jamaa el fna Square which is very convenient to go to Restaurants and market (souk). its one of the treasures of Marrakech and its a place of comfort and elegance. 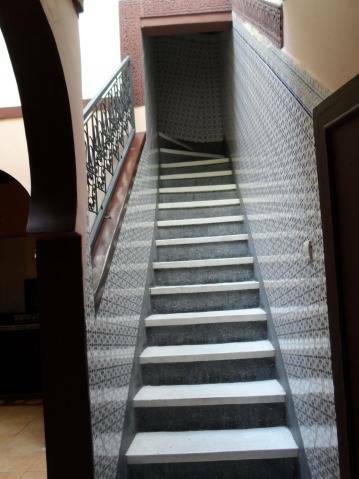 The Riad has 1 large room and 2 private room, one large equipped kitchen, 2 bathrooms, hot shower one big Moroccan salon; free wifi; Hall; coolterrace and other facilities. 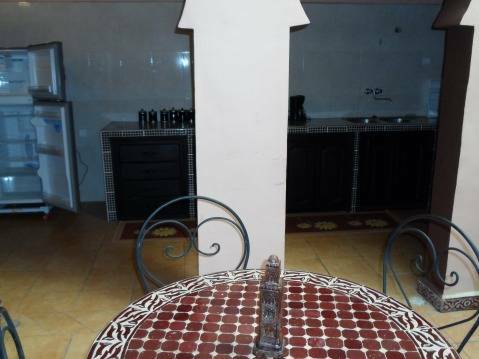 The Riad has 1 large room and 2 private room, one large equipped kitchen, 2 bathrooms, hot shower one Moroccan salon; free wifi; Hall; coolterrace and other facilities. As our guest, you can relax on our beautiful terrace and drink free mint tea if you desire. If you are feeling social with other guests listening to music in our comfortable ground floor salon and even feel free to cook yourself a meal in our kitchen, using the wonderful spices you may have just gotten from the Souks. We will be delighted to welcome you and show you the real Moroccan hospitality and our careful attention to details are perfectly designed to provide you with a wonderful experience in Marrakech that you won't forget. 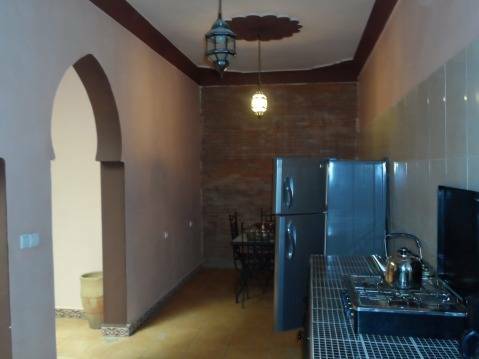 The Riad has 1 large room and 2 private room, one large equipped kitchen, 2 bathrooms, hot shower one Moroccan salon; free wifi; Hall; coolterrace and other facilities. As our guest, you can relax on our beautiful terrace and drink free mint tea if you desire. If you are feeling social with other guests listening to music in our comfortable ground floor salon and even feel free to cook yourself a meal in our kitchen, using the wonderful spices you may have just gotten from the Souks. we are ready to answer all of your questions and ensure that your stay in Marrakech is everything you could have hoped for. 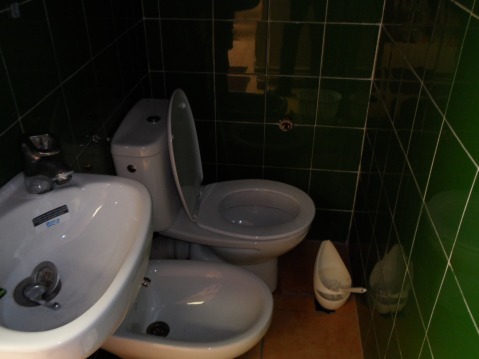 and a single bed is a shared room pay only 80MAD. Breakfast is included and served 7.30am - 10.30am. No bugs, ants or mosquitos! Official check out time is 20h pm and check in is 13h pm but if you send us your arrival and departure details we will try to match you up with an early check out if you are arriving early. 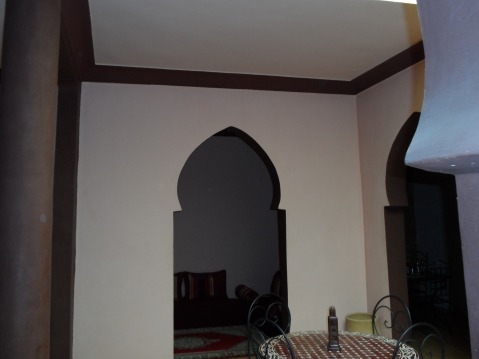 our Riad is in the center of medina you are free to come through Jamaa el fna square as well as through Bab Dokkala bus station. any way all guests will receive a Google earth map with full directions within 24 hours of making their reservation. near by our RIAD you will find central bus station as well you can stop several taxis by simply waving your arm. Also There is a public bus service from the airport to the town center (bus Number19) every 30 minutes from 6:15 am to 21:45 am on every day. The bus stop is located at about 30 meters from the airport exit on the left. (Single ticket 30 dh or a return ticket for 30 dh equals 3 euros ). Once you have arrived at either at the 'Jemaa El Fna' square, or Bab dokkala bus station you can give us a call and our staff will be glad to bring you to the Riad.